Did you that the home owner is responsible for fixing the sewer line all the way to the city main sewer line even if it is beyond the properlty line? 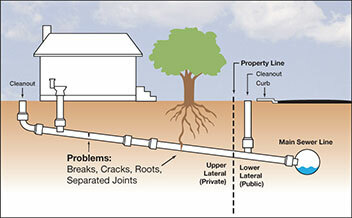 Did you know that the avarage cost of sewer line repair is $8,000? Avoid a crappy situation in your new home and ask me to perform SewerScan at the end of the home inspection. SewerScan is a video scan of the main sewer line that can identify problems in the sewer line like joints offsets, cracks and roots. This service will give you a better understanding of the sewer line condition, and it can be a great negotiation tool if there are any problems in the sewer line.